Most of these organisms, such as plankton, glow blue, but a few glow red, green, or orange. Some tiny animal plankton (zooplankton) are big enough to see with the unaided eye. Most bioluminescent zooplankton don’t glow in the dark themselves, but instead squirt globs of glowing chemicals into the water. Why do some mushrooms emit light? Making light isn’t common in fungi; scientists have described about 100,000 fungal species, and only 75 glow. Lab work has shown that the glow did not happen randomly or by accident. Scientists found that these mushrooms made light mostly at night, so experiments were conducted to determine why. According to studies (referenced in the book), in dark environments, bioluminescent fruit bodies may be at an advantage by attracting insects and other arthropods that could help disperse their spores. 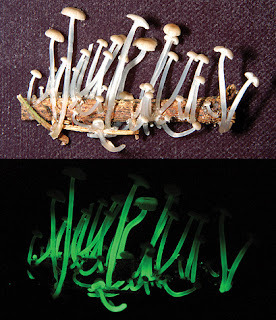 Conditions that affect the growth of fungi, such as pH, light and temperature, have been found to influence bioluminescence, suggesting a link between metabolic activity and fungal bioluminescence. The diversity of creatures with this ability is equally astonishing, from algae and the common firefly to deep-sea dwellers that are rarely seen by humans. What's also fascinating is that many of these creatures are not closely related, and bioluminescent traits have seemingly evolved separately at least 30 times. 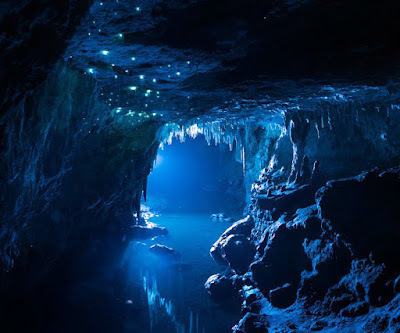 With countless well lit subterranean caves and glowing caverns, it makes one wonder what could be dwelling in vast unexplored areas under the crust. The idea that our planet consists of a hollow, or honeycombed, interior is not new. 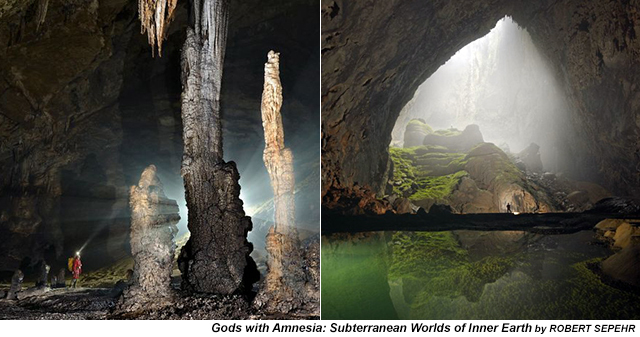 Some of the oldest cultures speak of civilizations inside of vast cavern-cities, within the bowels of the earth. According to certain Buddhist and Hindu traditions, secret tunnels connect Tibet with a subterranean paradise, and they call this legendary underworld Agartha. Assuming that the myths are true, and the Earth is partially hollow, how could life survive underground? How would organisms receive the ventilation required to breathe miles below the surface? Surface trees and rainforests are responsible for less than one-third of the Earth’s oxygen, while marine plants, such as phytoplankton, are responsible for between 70 to 80 percent of the oxygen in the Earth’s atmosphere. The vast majority of our oxygen comes from aquatic organisms. Phytoplankton, kelp, and algae produce oxygen as a byproduct of photosynthesis, a process which converts carbon dioxide and light into sugars which are then used for energy. While the process of photosynthesis usually implies the presence of sunlight, the Sun is not the only available light or energy source able to power photosynthesis. Before the discovery of hydrothermal vents, and their ecosystems, scientists believed that only small animals lived at the ocean bottom, in seafloor sediments. They theorized that these animals received their food from above, because the established model of the marine food chain depended on sunlight and photosynthesis, just as the food chain on land does. Mainstream academia taught that this was the only way life could survive in the darkness of the deep seafloor. The discovery of hydrothermal vents changed all that. It became clear that vast communities of animals grew quickly and to larger than expected sizes in the depths without the aid of the Sun. 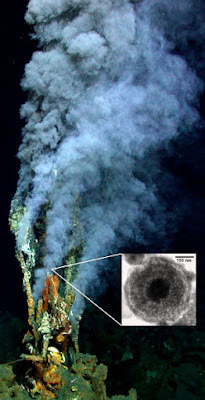 Instead of using light to create organic material (photosynthesis), microorganisms at the bottom of the food chain at hydrothermal vents used chemicals such as hydrogen sulfide (chemosynthesis). At the seafloor, there are thriving ecosystems that receive energy not from the sun, but from the heat and chemicals provided by the planet itself. For many thousands of species dwelling in the deep, the energy to sustain life does not flow down from above, but comes up from the interior of the earth. Even in the unlikely scenario where every single tree were chopped down, we would still be able to breathe thanks to aquatic plant-life (ex. algae). The Earth has a tremendous amount of water, and these oceans, rivers, and lakes are teeming with numerous species of biologically active, oxygen-producing organisms. Numerous endeavors have been undertaken to access the interior of the earth. Polar expeditions and battles, such as Operation Highjump, still remain largely classified, and have been shrouded in secrecy for decades, but scientific revelations validating the rumors surrounding these covert events, and their implications, are finally being exposed to daylight. What are the mysteries of inner Earth? Pliny the Elder noted that the Pygmies were believed to have been displaced from their ancestral homeland, and locates a remaining population of Pygmies somewhere mainly between Egypt and Ethiopia, though also having found a refuge as far afield as the Southeast of the North American continent. The Cherokees, whose ancestral home was in the southeast of North America, have a legend which tells of a journey by some men, who traveled south until they came upon a tribe of very little people, the Tsundige’wi, who barely reached up to a man’s knee. These little men and women lived in nests in the sand, that were covered with dry grass, and they were terrified of the wild geese, which came in great flocks from the south and attacked them. When the Cherokees arrived, the Tsundige’wi were in a state of great fear and anxiety, because the wind was blowing from the south, bringing with it some white feathers. This was a sure sign that the birds were not for away. The Cherokees showed them new ways to defend themselves and how to use sticks and clubs so that they could hit the birds on their necks and kill them. 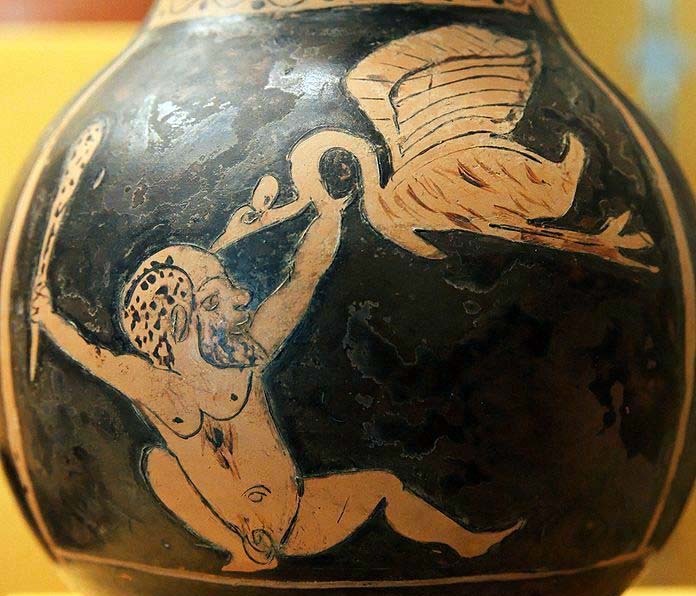 As the birds flew in from the south in great flocks, the little men ran to their nests to hide. But when the birds stuck their long beaks into the nests and began to pull out the men out to eat them, the men dashed out with their clubs and hit the birds as the Cherokees had shown. They killed so many that after a while the birds flew away. For some time, the Tsundige’wi were able to keep the birds at bay, until eventually a flock of giant cranes arrived. These birds were much taller, and the little people weren’t able to strike them on their necks, and so unfortunately for the Tsundige’wi, they all perished. Arab scholars agree with the fourteenth century Italian missionary and explorer Friar Odoric about tales told in China concerning remnant populations of Pygmaei in the Himalayas. 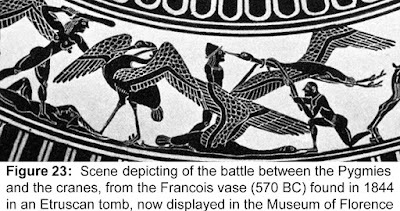 According to the most ancient records from the Chinese, Scandinavians, Greeks, Romans, Arabs, and the Cherokee, we have an undeniable collective memory of an ancient, millennium long, and world-wide Pygmy war. The Pygmies were fractured, reduced to refugee status, and forced into exile. 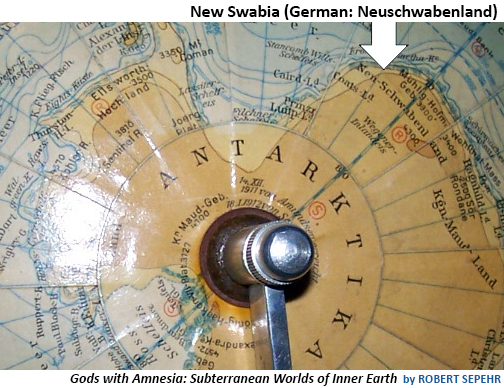 New Swabia (Neuschwabenland) is an area of Antarctica between 20°E and 10°W in Queen Maud Land. It was explored by the German Antarctic Expedition which discovered ice-free areas with warm fresh-water lakes and vegetation. 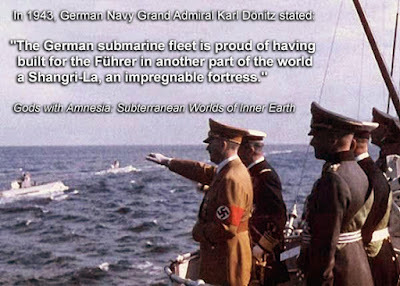 In 1943, German Navy Grand Admiral Karl Dönitz stated: "The German submarine fleet is proud of having built for the Führer in another part of the world a Shangri-La on land, an impregnable fortress." While it is widely accepted that the Nazis were defeated with the German Government's formal surrender in 1945, this is only partly true. The media is largely controlled by the Rothschild banking dynasty, and has promoted a false narrative concerning the events of WW2. Hitler's body was never recovered, and no Nazi party member ever signed any documents of surrender. That is why, after the Allies claimed unconditional victory, Secretary of Defense James Forrestal sent a naval task force, called “Operation Highjump,” to Antarctica, including Admiral Nimitz, Admiral Krusen and Admiral Byrd. Over 4,700 military troops from the U.S., Britain and Australia, consisting of three Naval battle groups departed on December 2, 1946. 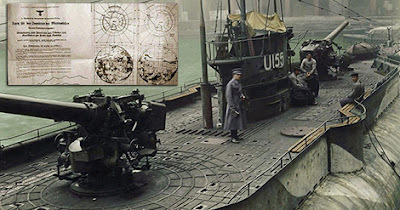 According to first hand testimonials from crew members participating in Operation Highjump, including an interview given by Admiral Byrd himself, the Antarctic Nazis developed their saucer-shaped discs far in advance of anything possessed by the U.S. They swiftly defeated the massive "post WW2" Allied military attack. 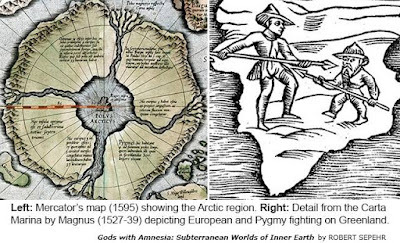 The possibility that the earth contains massive subterranean caverns, or is at least partially hollow, that these regions are accessible through passages at the poles, and that ancient secret breakaway civilizations flourish within them, has renewed people's interest in a subject still considered by the media to be taboo. 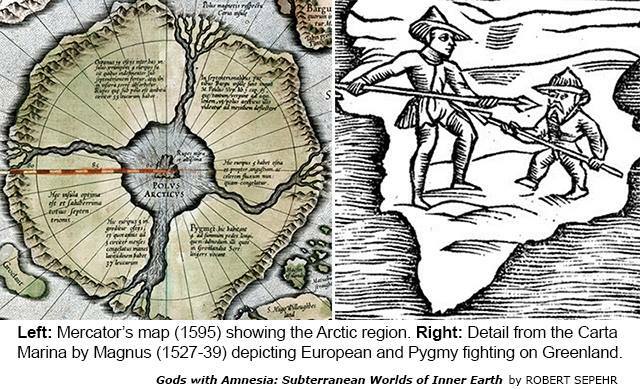 Could the Earth really have entire inhabited cities underground that we are unaware of on the surface? Where are the entrances to inner earth, and which races live on the inside? The idea that our planet consists of a hollow, or honeycombed, interior is not new. Some of the oldest cultures speak of civilizations inside of vast cavern-cities, within the bowels of the earth. According to certain Buddhist and Hindu traditions, secret tunnels connect Tibet with a subterranean paradise, and they call this legendary underworld Agartha. In India, this underground oasis is best known by its Sanskrit name, Shambhala, thought to mean 'place of tranquility.' Mythologies throughout the world, from South America to the Arctic, describe numerous entrances to these fabled inner kingdoms. Many occult organizations, esoteric authors, and secret societies concur with these myths and legends of subterranean inhabitants, who are the remnants of antediluvian civilizations, which sought refuge in hollow caverns inside the earth. In the year 2000, the “Cave of the Crystals” was discovered by miners excavating a tunnel for the Naica Mine in Mexico. 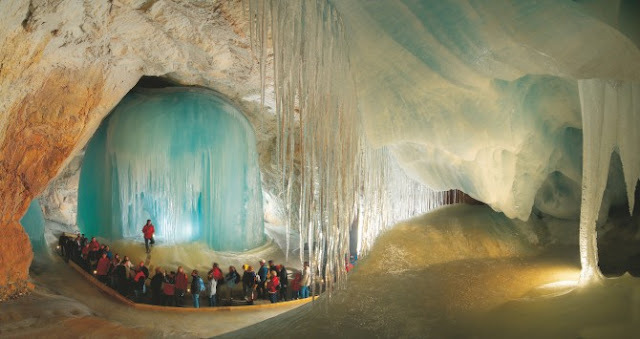 The main chamber contains some of the largest natural crystals ever found in any underground cave, with the cave’s largest crystal found to date measuring at 36 ft (11 m) in length, 13 ft (4 m) in diameter and 55 tons in weight. These spectacular crystals became so large because the extremely hot temperatures inside the cave, reaching a steamy 136 degrees Fahrenheit, encouraged microscopic crystals to form and rapidly grow. Gazing at these gigantic crystals, one can't help but get carried away imagining what else awaits further exploration of these cave systems. 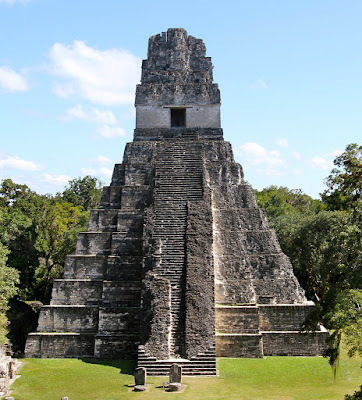 In Guatemala, archeologists have also discovered 800 km worth of tunnels which have been mapped underneath the Mayan pyramid complex at Tikal. Tikal is an ancient Mayan citadel in the rainforests of northern Guatemala. Its iconic ruins feature the massive, ceremonial Lost World Pyramid, the Temple of the Grand Jaguar. At 70 meters, Temple IV is the tallest pre-Columbian structure in the Americas. Could there be hidden passages built beneath the site? If so, who could have built them? The idea that our planet consists of a hollow, or honeycombed, interior is not new. Some of the oldest cultures speak of civilizations inside of vast cavern-cities, within the bowels of the earth. According to certain Buddhist and Hindu traditions, secret tunnels connect Tibet with a subterranean paradise, and they call this legendary underworld Agartha. In India, this underground oasis is best known by its Sanskrit name, Shambhala, thought to mean 'place of tranquility.' Mythologies throughout the world, from South America to the Arctic, describe numerous entrances to these fabled inner kingdoms. 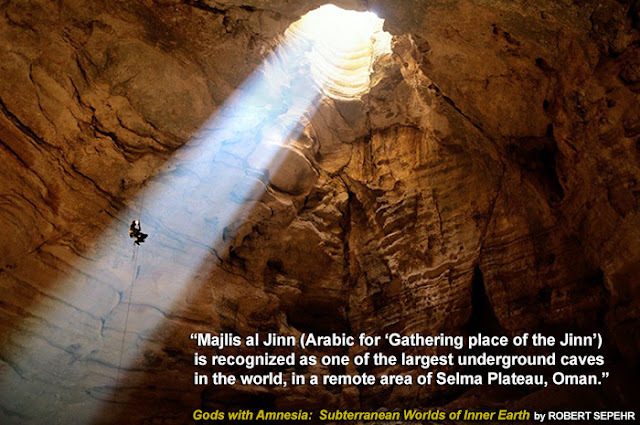 Many occult organizations, esoteric authors, and secret societies concur with these myths and legends of subterranean inhabitants, who are the remnants of antediluvian civilizations, which sought refuge in hollow caverns inside the earth. Assuming that the myths are true, and the Earth is partially hollow, how could life survive underground? How would organisms receive the ventilation required to breathe miles below the surface? What would provide the light needed to see, or to cause the photosynthesis necessary for the plant life that allegedly exists in these inner worlds? Where are the entrances to inner earth, and which races live on the inside? Author and anthropologist, Robert Sepehr, explores these questions and attempts to unlock their riddles, which have eluded any serious consideration in mainstream academia. What are the mysteries of inner Earth? Located in central Kentucky and covering well over 52,000 acres, the Mammoth Cave was established as a national park in 1941, and as a World Heritage Site in 1981. With a staggering 400 miles (640 km) of surveyed passageways, Mammoth Cave is by far the world's longest known cave system, over twice as long as the second-longest cave system, Mexico's Sac Actun underwater cave. Archeologists are constantly making new discoveries and additional connections in this cave system, adding several miles to this figure each year. The Echo River Tour, one of the cave's most famous attractions, took visitors on a boat ride along an underground river, but the tour was discontinued in the early 1990s. There are rumors of deep passageways not accessible to tourists. H.P. 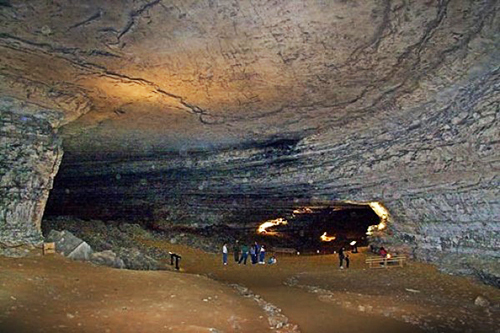 Lovecraft's short story, The Beast in the Cave, is set in Mammoth Cave. He finished the final draft in 1905, when he was fourteen, and published it in the June 1918 issue of the amateur press journal, The Vagrant. The plot involves a man on a tour of Mammoth Cave who separates from his guide and becomes lost. His torch finally expires, leaving him hopeless of finding a way out in the pitch dark. He then hears strange sounding footsteps approaching. Thinking it a lost mountain lion, he desperately throws a stone at the source of the sound. The beast is hit and crumples to the floor. The guide eventually finds the protagonist, and together they examine the fallen creature with the guide's torchlight. As the creature mutters its last breaths, revealing its face, they discover that it is a pale, deformed human, who actually had lived in the caves for years. 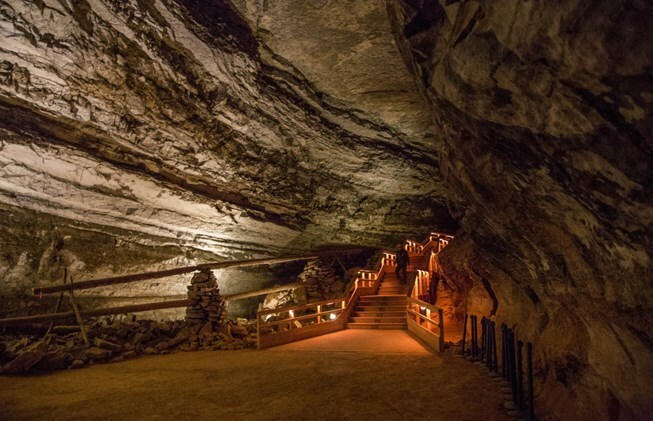 Several sets of Native American remains have been recovered from Mammoth Cave. Many of these mummified remains indicate intentional pre-Columbian funerary practice. Another fascinating discovery was the remains of cane torches used by Native Americans. 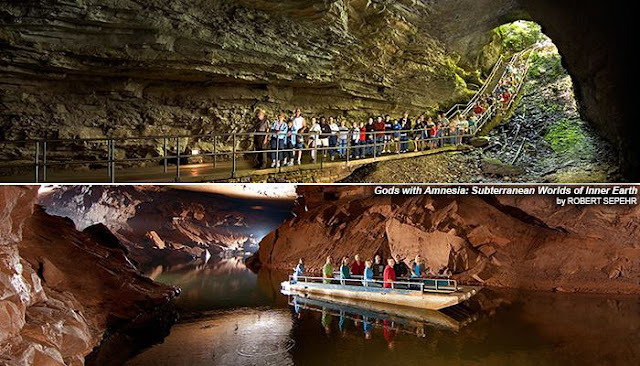 Could there have been civilizations that took rfuge deep inside these massive caverns? 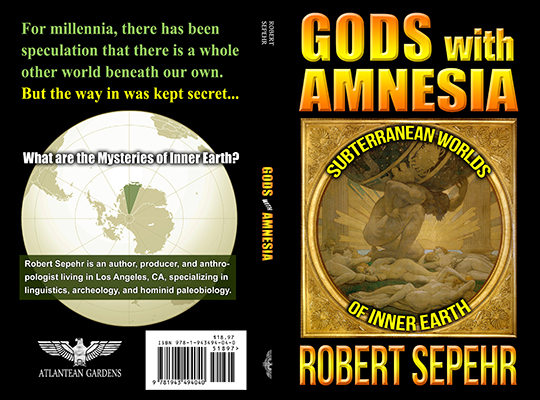 What are the mysteries involving subterranean passages to inner earth? Author and anthropologist, Robert Sepehr, explores these questions and attempts to unlock their riddles, which have eluded any serious consideration in mainstream academia. 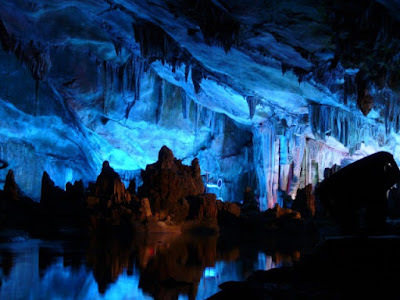 Reed Flute Cave, known as the “Palace of Natural Arts,” is located in southern China. According to a legend, Reed Flute Cave got its name because the reeds by the cave’s mouth could be made into flutes. 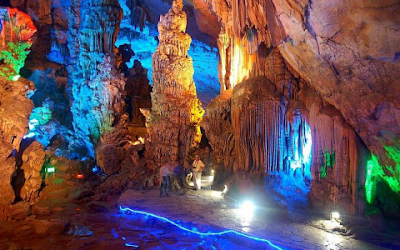 The limestone cave offers a majestic fairyland of stalactites, stalagmites, stone pillars, birds, and plants in fantastic shapes and colors. Inside, there are more than 70 inscriptions in ink, which date back as far as 792 AD in the Tang Dynasty. These aged inscriptions tell us that it has been an attraction in Guilin since ancient times. 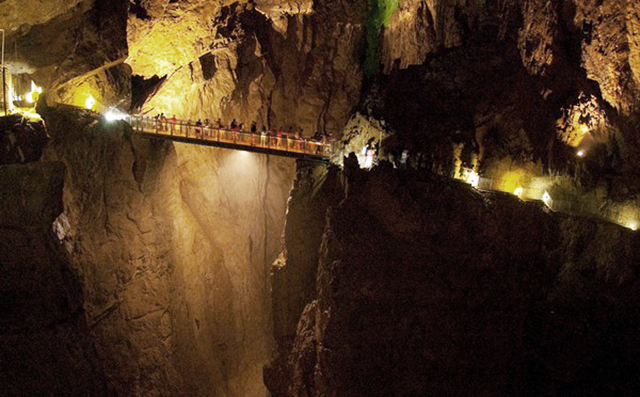 The cave is about 240 meters long and a tour currently lasts about one hour. 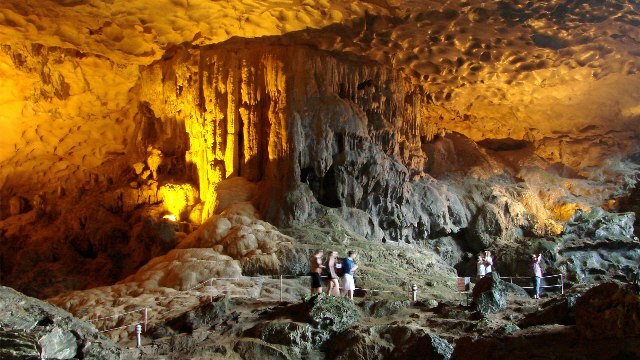 The interior of the cave is a veritable show gallery of gorgeous geological formations, created by thousands of years of water erosion on the soft limestone. The walls also consist of beautifully rippling, eroded patterns which have dripped into the rock over millennia. 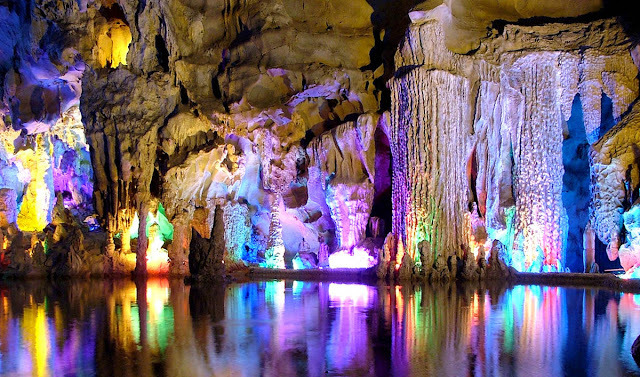 Today, countless multi-colored lights dramatically illuminate the Reed Flute Cave. The lights are hidden in the cracks and crevices of the space, and the effect is almost surreal, as the lights turn the otherwise dark space into a strange mix of bright neon colors and rough natural shades. Assuming that the myths are true, and the Earth is partially hollow, how could life survive underground? How would organisms receive the ventilation required to breathe miles below the surface? What would provide the light needed to see, or to cause the photosynthesis necessary for the plant life that allegedly exists in these inner worlds? Are there any known sources of sustenance available that could provide for a large human population? Where are the entrances to inner earth, and which races live on the inside? The Skocjan cave system in Slovenia includes the highest cave hall in Europe, featuring a massive underground gorge with a waterfall, and a bridge over the gorge that looks like something out of the movie, The Lord of the Rings. The caves have beautiful stalactite and stalagmite structures, which resemble melted wax. 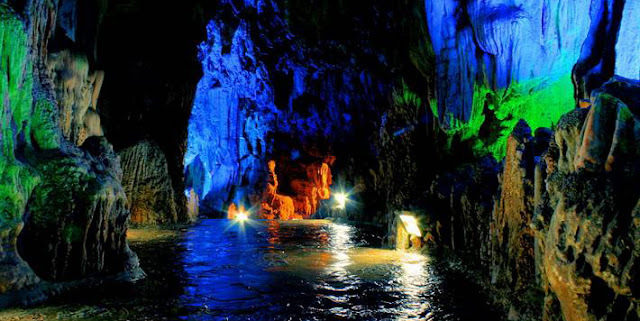 The Skocjan Caves were formed by the sinking Reka River. The river remains on the surface at the cave entrance, but suddenly disappears underground, where it continues its way through the underground caverns. 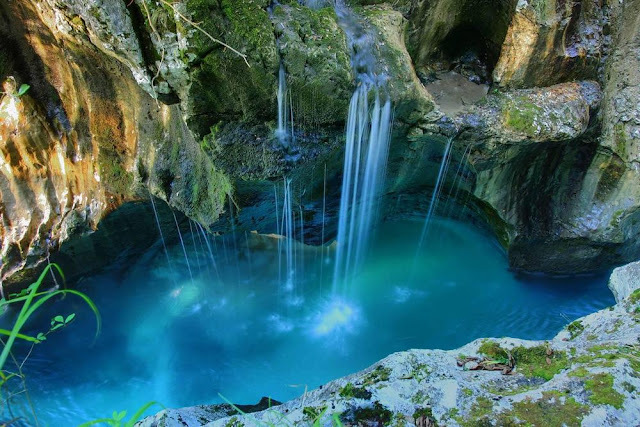 The river emerges on the surface again, not far from the Adriatic coast, after flowing underground for about 21 miles. 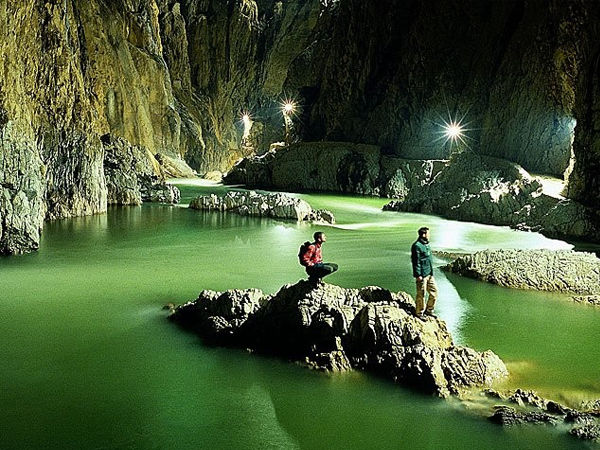 Entered on UNESCO’s list of natural and cultural world heritage sites in 1986, the Skocjan Caves represent the most significant under-ground phenomena in both the Karst region and Slovenia, and one of the largest underground canyons in the world. 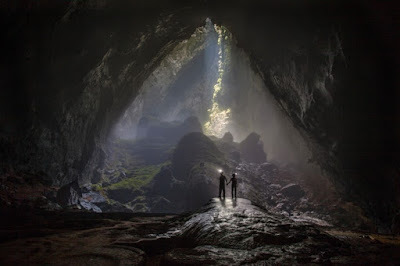 A special ecosystem has developed in these caves due to particular micro-climatic conditions. The idea that our planet consists of a hollow, or honeycombed, interior is not new. Some of the oldest cultures speak of civilizations inside of vast cavern-cities, within the bowels of the earth. 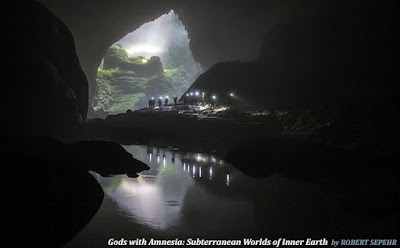 Many occult organizations, esoteric authors, and secret societies concur with these myths and legends of subterranean inhabitants, who are the remnants of antediluvian civilizations, which sought refuge in hollow caverns inside the earth. Assuming that the myths are true, and the Earth is partially hollow, how could life survive underground? Where are the entrances to inner earth, and which races live on the inside? Author and anthropologist, Robert Sepehr, explores these questions and attempts to unlock their riddles, which have eluded any serious consideration in mainstream academia. Even in the unlikely scenario where every single tree were chopped down, we would still be able to breathe thanks to aquatic plant-life (ex. algae). The Earth has a tremendous amount of water, and these oceans, rivers, and lakes are teeming with numerous species of biologically active, oxygen-producing organisms. What would provide the light needed to see, or to cause the photosynthesis necessary for the plant life that allegedly exists in these inner worlds? It is fascinating how some organisms, such as bacteria or algae, can produce light, or glow in the dark. The word for this seemingly magical ability is called “bioluminescence,” which comes from “bio,” meaning life, and “lumin,” meaning light. Most of these plankton glow blue, but a few glow red, green, or orange. Some tiny animal plankton (zooplankton) are big enough to see with the unaided eye. Most bioluminescent zooplankton don’t glow in the dark themselves, but instead squirt globs of glowing chemicals into the water. Why do some mushrooms emit light? Making light isn’t common in fungi; scientists have described about 100,000 fungal species, and only 75 glow. Lab work has shown that the glow did not happen randomly or by accident. Scientists found that these mushrooms made light mostly at night, so experiments were conducted to determine why. The findings indicated that the mushrooms lured bugs, which then spread the mushroom’s spores where there was very little or no wind. Conditions that affect the growth of fungi, such as pH, light and temperature, have been found to influence bioluminescence, suggesting a link between metabolic activity and fungal bioluminescence. According to studies (referenced in the book), in dark environments, bioluminescent fruit bodies may be at an advantage by attracting insects and other arthropods that could help disperse their spores. If this conclusion holds, one could reasonably hypothesize that environments with little or no wind, such as deep subterranean caverns, could potentially harbor an especially high proportion of luminescent fungi. Are there any known sources of sustenance available that could provide for a large human population? What evidence is there that a sustainable biosphere could exist miles below the surface, totally isolated from the nourishment and the established life cycle provided by the sun? Where are the entrances to inner earth, and which races live on the inside? Author and anthropologist, Robert Sepehr, explores these questions and attempts to unlock their riddles, which have eluded any serious consideration in mainstream academia. Numerous endeavors have been undertaken to access the interior of the earth. Polar expeditions and battles, such as Operation Highjump, still remain largely classified, and have been shrouded in secrecy for decades, but scientific revelations validating the rumors surrounding these covert events, and their implications, are finally being exposed to daylight. What are the mysteries of inner Earth? The Hopi Indians maintain that their ancestors did not arrive from the north, nor by boat, but instead climbed onto the surface from the underworld. 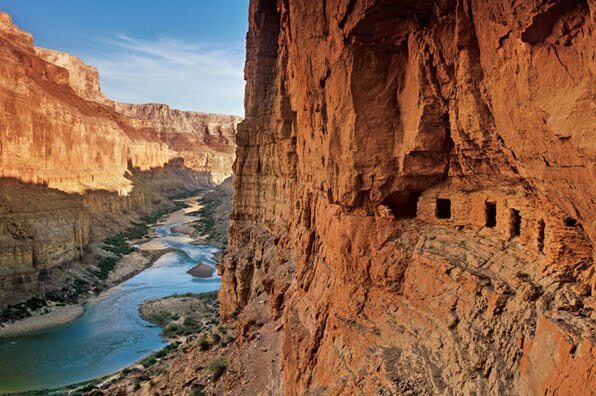 The specific place of emergence of Hopi legend lies deep inside the Grand Canyon, an enchanted opening from the mysterious recesses of the earth. Native American lore states that the Grand Canyon was formed as a result of a Great Deluge, which had drowned the previous third world that had forgotten the path of divinity. Hopi cosmology specifies that here was the place from whence the Hopi emerged from their subterranean refuge after the flood had destroyed the third world. Several inner world entry points are said to be located on their land in the Canyon, one of which is honored in ceremony as the dwelling of an ancient parent race. A sacred site, it is strictly off-limits to all but the Hopi people. 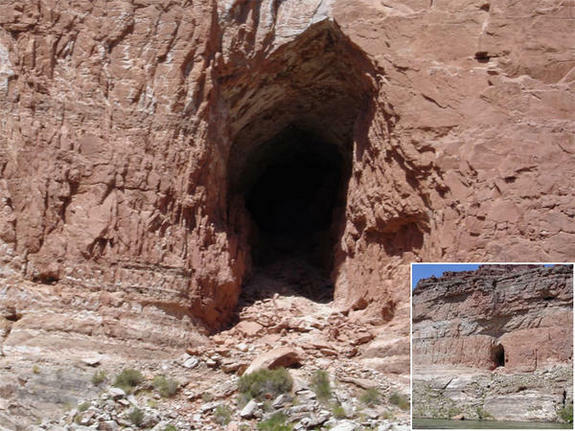 The lore further claims that the Hopi were assisted by 'insect (ant) people' who lived in the inner world of caves and caverns, pale humanoids with thin limbs and slightly arched backs. The Smithsonian Institute may have discovered artifacts inside a massive cavern with intricate passages and rooms, including tablets bearing hieroglyphics. An article published in The Arizona Gazette on April 5, 1909, that the Grand Canyon was once home to a lost civilization, consisting of people of gigantic proportions. 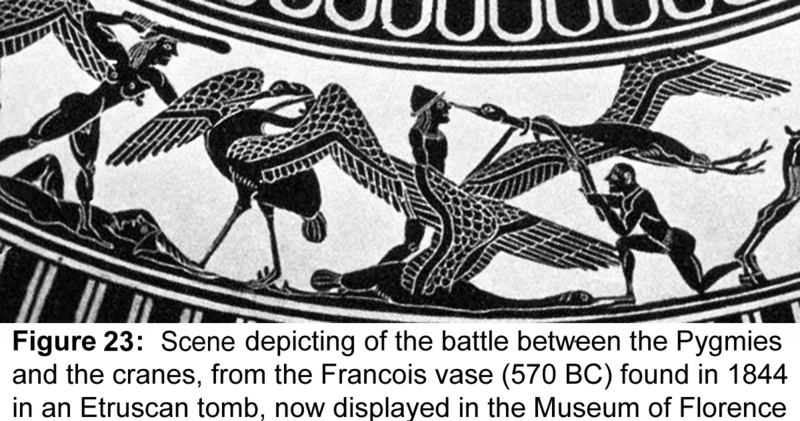 It also mentions the discovery of an enormous underground citadel by an explorer named G.E. Kinkaid, who came upon it while rafting on the Colorado River. The entrance to the city was at the end of a tunnel that allegedly stretched for almost a mile underground. 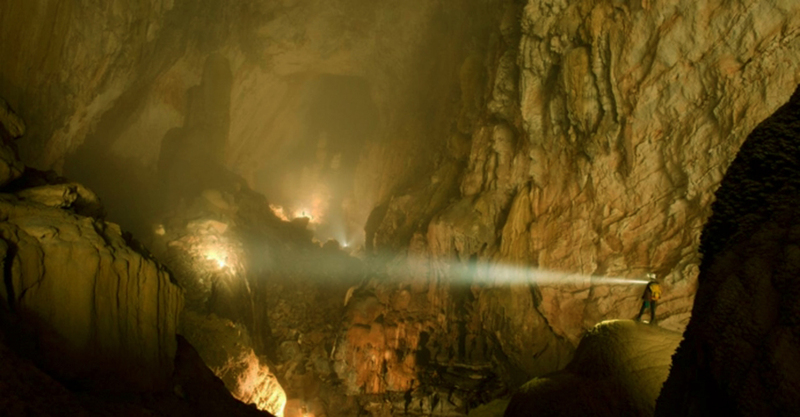 Could there still be civilizations that exist deep beneath the earth? If so, where are the entrances to these inner worlds, and which races inhabited them?